World No Tobacco Day: Group urges action against exposure to second-hand smoking – Royal Times of Nigeria. The Centre for Communication Programs Nigeria has called on the federal government to implement effective health policies that will reduce the use of tobacco products in Nigeria. 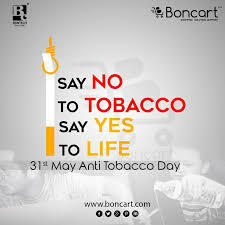 In a statement issued today to mark this year’s World No Tobacco Day, the group noted that unrestricted use and access to tobacco products is a threat to Nigeria’s development and a great health risk that affect other sectors and the economic well-being of Nigerians. Executive Director of the nongovernmental organization, Babafunke Fagbemi, who lamented that Nigeria is already battling to eradicate malaria which is one of the greatest killer diseases of young children in Nigeria, added that the government must not add to the burden of Nigerians by not taking action against tobacco use. 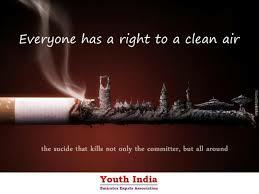 Ahead of this year’s celebration, the World Health Organization revealed that tobacco kills over seven million people annually. Fagbemi urges the federal government to immediately implement public health measures that would protect Nigerians from the dangers of smoking including the comprehensive implementation of the National Tobacco Control Bill.